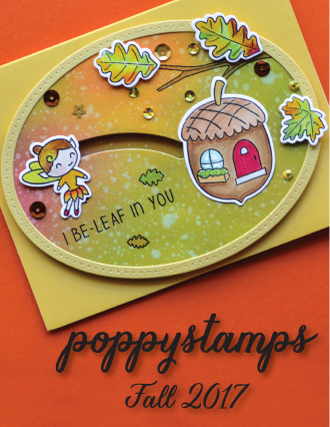 111 posts categorized "Thank You Card"
Hello, Nadine here today with a cheerful hello card using the new Poppystamps Butterfly Wings Clear Stamp Set. I love how this stamp is a background stamp, so many things can be done with background stamps. I used it to create a resist for the background on my card front. The "to my favorite bestie" is one of the sentiment stamps that comes with the Butterfly Wings Stamp Set. 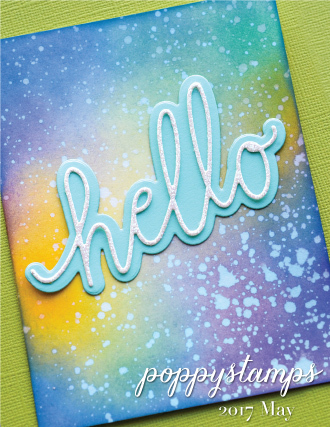 The "hello" is from the Poppystamps Luscious Script Die. Watch my video below to see exactly how I created my card. Don't forget to subscribe to my YouTube channel and click the bell so you will get updates when I post a new video. This past Friday I went to visit the nearby hills on fire with blooms of wild California Poppies! It was amazing , so glad I went as it only last a bit. This was in the Hills near Temecula. I left everything in tact then placed my stencil on top and began to use my watercolor Zeg pens to color the poppies. After I was done I added a bit of shimmer. Then stamped the sentiment using Poppystamps : Picnic Plaid clear stamp set. The die and stencil are both included with the die and could be your prize. Thought I would share a few more of the wild Golden Poppies that are also the California state flower. 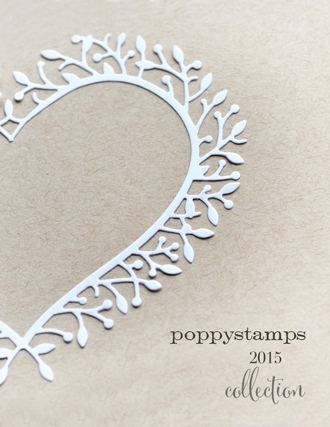 February brings the hope of Spring, and I'm here today with some ideas for easy, fun stamping. I love doing cards in multiples, especially for giving gifts. A set of thank you cards (A1 size) is the perfect appreciation to give a friend. Or a neighbor who fed the cats while you were away? 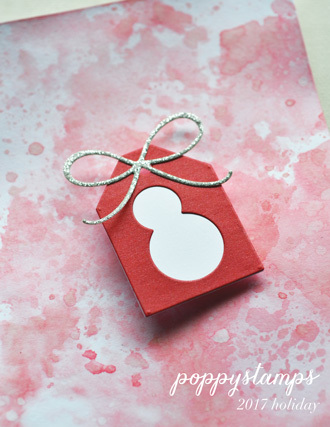 I selected one of my favorite Poppy stamp sets, Little Kindnesses, and a Poppy tag die, marking off the die, lightly with a pencil. Here's where the fun starts. Using my Misti, each card is placed and stamped one after another, in an assembly line. Here's a look at all the elements before the card is assembled. Each tag is inked a different color, 6 total. I placed my tag in the Misti for placement of the bee trail as well. The large die cut flower is copic colored, coordinated with the tag, and adhered to the tag. If you look closely, you can see I glued only the center of the flower so I could curl up the petals slightly. Finishing touches include the script die cut and some Nuvo drops. Don't forget the envelopes! So easy to decorate them with the Misti too! Packaged together with a ribbon, a sweet way to say, 'thank you'. And great therapy for a cold winter's afternoon. How nice to have several of these sets on hand, ready to go. I hope this post today brought you a bit of Spring sunshine. And I hope you're feeling crafty, no matter the temp outside! Hi there! 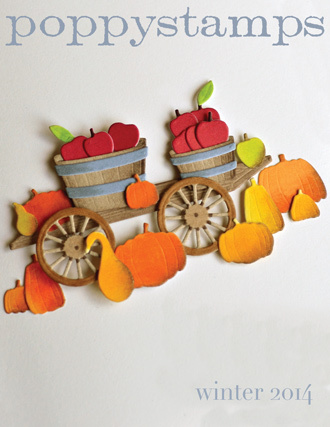 Marybeth here today to share how I made my Challenge Inspiration , fall thank you card. Whittle Owl and Whittle Wood Frames. I cut this Whittle Owl out twice once for the body ( darker) and then again ( lighter ) for the face. I love the deep purple for the fall! The envelope is from Brich Press Design. This is the back side showing how I add my fun foam. I add the tape then the strips of fun foam and cut where needed. Thanks so much for the visit today! 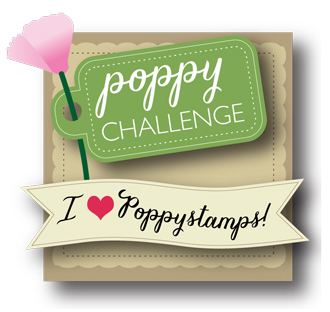 Don't forget to play along in the Poppystamps Challenge for a chance to win! Hello, Nadine here and welcome to the Holiday Happenings 2018 Blog Blitz! 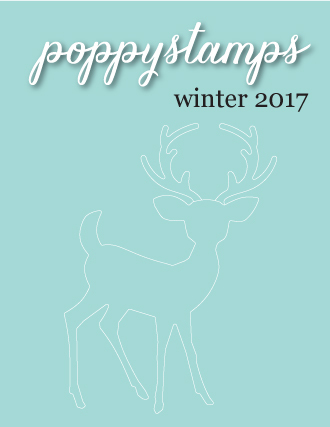 Not only is this my first post with Poppystamps, but you also have a chance to win some new dies. Everyone likes to win prizes, right? All the details on how you can win are listed below at the end of my post. I used several different dies for my card. For the outer frame, I used the largest die from the Pointed Rectangle Frame Die Set and for the leaves, I used the Whittle Maple Leaf & the Whittle Oak Leaf dies. The pumpkins and owl are so cute! I die cut them out with some Rinea Foiled Paper using the Whittle Owl and Whittle Pumpkins Dies and layered them up on the Birch Stitched Frame Die. Then added a quick sentiment using the Give Thanks Brushed Die but only used the thanks part of the die set. Ready to find out how you can win some dies? Here on my post, you have a chance to win the Whittle Pumpkins Die Set! 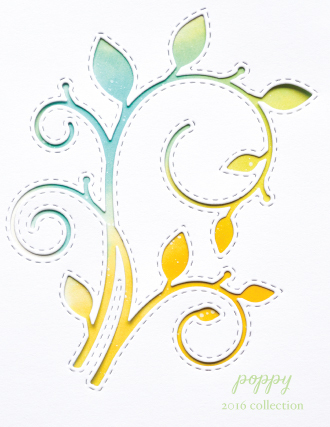 Hi everyone, today I have a "thank you" card featuring several dies from Poppystamps Spring Release! There are MANY more in the release, so be sure to check it out here! This card is an A7 or 5" x 7", sometimes you just need a larger card base to pull off your design. The main feature on my card is the beautiful butterfly! To create this butterfly I used the Corden and Powell Butterfly dies! Each die can be used individually but together they make an awesome butterfly! For added interest I used the Finial Corner die on two of the corners of my card. I used spray adhesive to adhere the die cuts to my card panel. 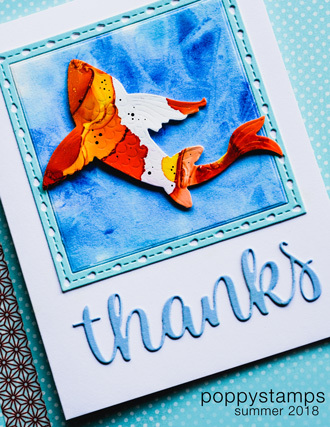 I used the Thank You Streamer die for my sentiment; it's an older die but one I use over and over. 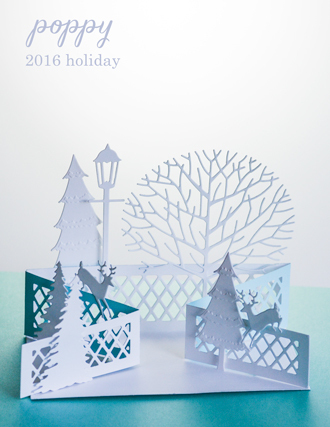 To see how to create this card check out the following video! 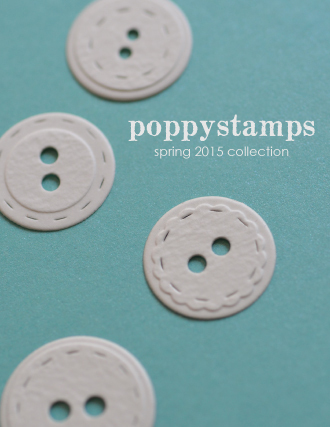 Thanks for stopping by the Poppystamps blog and hopefully you checked out the Spring Release! 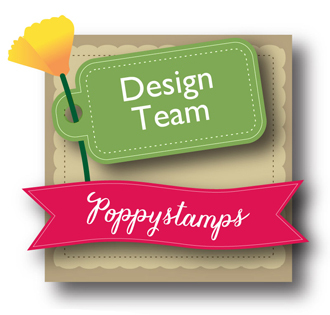 For more ideas, inspiration and news subscribe to the Poppystamps Blog! Today I show you many pictures! I made 2 cards with a season that I love: Easter... "Pascua" for me!!!! 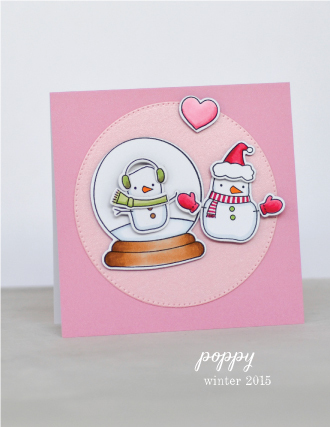 I always say that with Poppy you have the best diecuts and stamps!!! Look my first card!!!! The colors are very tender and delicate!!!! I use several diecuts, I'm really in love with my cards!!!!! Maybe my cards do not have different techniques, but I love making them easy and simple for inspire to you and you run to make a lot of cards!!!! This tender die with a little rabbit is fantastic. I cut the bunny in glitter paper! 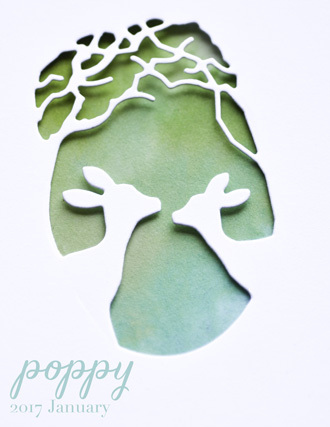 I use the same materials, the same diecuts and colors and I like the result!!!! Remember: Easter is meant to be a symbol of hope, renewal, and new life. Jeanne here today! I recently saw a video made by Dave Brethauer the owner of Poppystamps called "Threaded Cards" (you can see it here). He used the same die I used today and added watercolor inlay to the Rose Frame die cut. Inlaid dies are smooth and expensive looking, but they're also very time consuming. The video got me thinking of other ways to add color to dies without all the extra effort. I tried a few different techniques. First I embossed a piece of watercolor paper with the Rose Frame die. This created a panel that had clearly marked die outlines but it wasn't smooth. When I water colored it I found the water didn't absorb evenly into the paper and when my project was dry I found lots of white spots where paint never touched. For my second attempt I die cut the Rose Frame with a piece of water color paper. Because the paper is thicker than regular card stock, and this die is very intricate it didn't cut out the die. This normally would make me a little upset - I'd toss the panel and cut it again with a metal shim to get a clean cut, but for this project the sticky pieces were just what I was looking for. NOTE: Another way to keep your die pieces from cutting all the way through is to add a piece of packaging tape to the back of your card stock before die cutting. The die won't cut through the packaging tape. I use Scotch 3M Packaging Tape. The die cut stays completely smooth allowing the water to absorb evenly and I the die cut image is easy to see. This technique is wonderful because you don't have to be absolutely precise about your coloring - and you can color the different areas quickly. I topped the watercolor panel with a clean white Rose Frame die cut and a Pointed Square Frame. The Pointed Square Frame gives the piece a finished look. The final dimensions on this card are 4.5" square. This technique gives you the clean look of inlay without all the little pieces to insert. 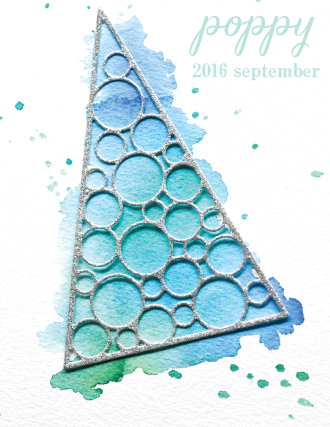 The finished card reminds me of colorful leaded glass. I hope you give it a try some time! Finished Size 4.5 x 4.5"
Hello everyone and welcome! I am going to share a technique that has made me as happy as a clam. Simply put, this concept just involves suspending your die cuts in a web of golden thread. 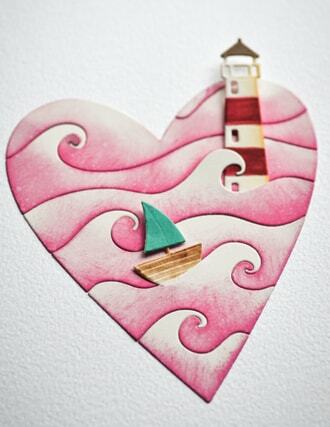 This brings the element of mixed media into traditional handmade card design, and I love the combination! I am not sure why it is so striking to me. I think that it is compelling because it introduces such a delicate touch to the card - and makes it feel as if something is floating, or caught mid-jump, before it lands in the envelope. This year, I designed several rose dies that coordinate with this particular design - and I will be using them in the video and today's post. They are all full and blooming, perfect for coloring in with soft shades of watercolor! As I describe the process of figuring out how to suspend the die cuts on the thread, I will also share a few examples that I have made using the dies in a more traditional way, so that you can see how versatile these particular designs are! I took my time on these cards and enjoyed the process - I watercolored the petals with watercolor pencil and then glued all of the pieces in place to create an amazing rose border. If you love puzzles, then this is the project for you. It doesn't take too long to get all the pieces in the right spot - and the look of the finished card is amazing. Really amazing. But to be honest - paper piecing is a labor of love. There are a lot of little pieces - so this is a project that you'll need to budget some quality time for. But that's no problem, there is always a book or a podcast you can listen to - or maybe some music. So I moved along assembling the project and after getting all of the petals and leaves in place, I then set to figuring out how I would mount something in the middle of the circle. I wanted it to float! For the first project, I began with a die that already had an opening in the middle, the Poppystamps 2033 Rose Frame. I was trying to figure out a way to make thin strings of thread hold shapes in mid air - and came up with the simple solution of creating a sort of web across an open area and then affixing the die cuts to the thread. It really is a unique and beautiful way to display the shapes on a card. And it puts a smile on your face when you see the greeting hovering in the opening on tiny golden "wires". I think the metallic thread makes a huge difference! 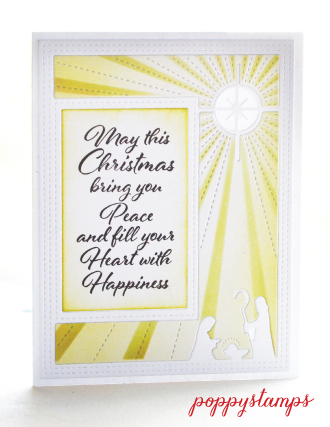 The gold catches the light and shines - making it brighten as you turn the card. I adhered the Memory Box 99763 Perky Thank You to the thread here in this close up. I have used a fair amount of double stick tape in between layers - this holds the petal pieces in place while securing the threads at the same time. In the video you can see that the double stick tape is the way to go for this project, since you will be sandwiching layers together. Of course, the Rose Frame looks terrific on a traditional flat card design too. Here I sponged some white cardstock with Distress Oxide ink in Worn Lipstick and Peeled Paint, then spritzed it with a little bit of water. Now this was a quick card! I glued the Rose Frame flat onto this background piece and then added the Poppystamps 1690 Scribble Hello to the center. I actually glued three hello's together, stacking them vertically so that they popped out a bit more in the center. I didn't worry too much about "going outside the lines" with the sponged background - the crisp, intricate lines of the die work just fine with the blended backgrounds. The color just gives a suggestion of what should define the roses or leaves. This is a really different look for this die - and I think we all love being able to use a die in different ways! For my next threaded project, I wanted to create my own opening, so that it wouldn't matter what die I floated in the middle. This way I could use all sorts of dies - and still incorporate the metallic web of threads into the design. So I used the Poppystamps 2013 Blooming Rose for my "floating die" and a circle from the Open Studio 30087 Circle Basics set to create an opening. I wanted to use a circle that was a little smaller than the Blooming Rose, so that the ends of the blooming rose could be adhered to the card. 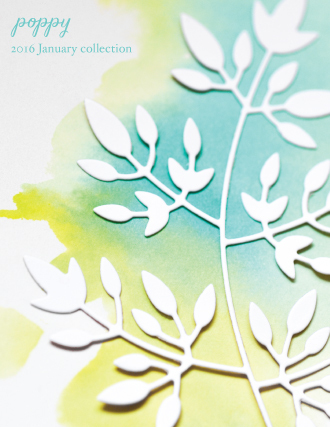 This provided a little extra structure for the design (so that it wasn't too flimsy) and also added a cool detail when the leaves and tendrils were "embedded" into the green background paper. I photographed this against a deeper green background here, so that you could see the sheen on the metallic thread a little easier. It really is striking in person! I finished off the card by using the Poppystamps 1996 Double Stitched Rectangle Frames - I have been using these a lot lately. When you cut the frame, the center rectangle falls out - so in this case, I cut it in yellow cardstock, then in green cardstock - and I mixed and matched the two colors. I spread the threads around the opening a bit more for this card - so that there would be glints of metallic rays around the rose. You can decide what works for you once you start weaving -there isn't a wrong way to do it - and embedding the thread between layers of the center die keeps things looking clean and tidy. To compare I made a different card with that same die - the Blooming Rose - shown on a flat card. Again, I sponged with the same Worn Lipstick and Peeled paint color scheme, but this time I added a stamped element which I embossed in white. The Scribble Hello worked perfectly here - I love how the cursive letters mirror the little curl in the Blooming Rose. 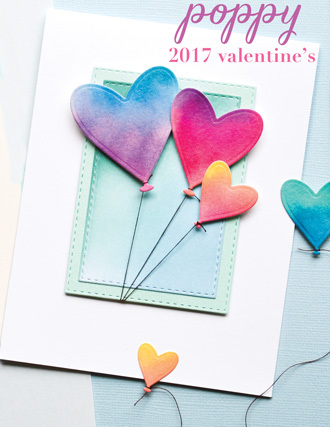 The "just wanted to say" phrase is from the CL5210 Thank You Sentiments stamp set and layers perfectly with the other dies. This is simplicity at it's best! 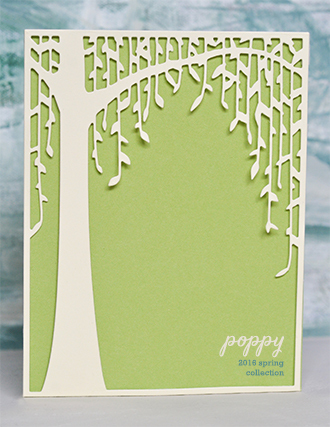 The phrase is embossed on kraft cardstock and looks very natural with the pink and green color scheme. When I was assembling, I knew the pink and green would be sort of bright, so I wanted something neutral - but not too dark - underneath these colors, and the brown paper was just right. I didn't glue the Blooming Rose down completely - just enough adhesive here and there to keep it on the card. Again, I wanted things to float on this collection! The white on white color scheme is a perfect contrast to the vivid pinks and greens. And I just wanted a blush of color on the otherwise white card - I was trying compose something simple, as if the color and shapes had just drifted down and settled onto the notecard. I decided to simplify the thread design for the next card. I wanted to suspend a die cut as easily as possible, so I used just a center thread to hang the Memory Box 98265 Vivienne Butterfly. 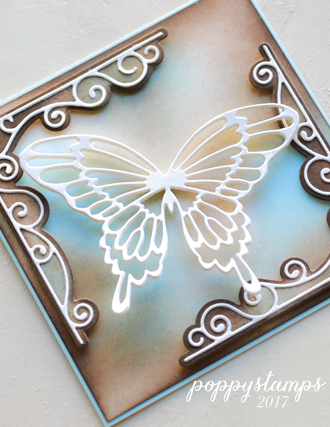 This butterfly was one of the first dies that I ever designed and I have made hundreds and hundreds of cards with it. It is intricate and just the right size for so many applications! It does have a matching background solid die - the Memory Box 98264 Darla Butterfly - that I also used in today's video. The thread is sandwiched between the Vivienne Butterfly (top) and the Darla Butterfly (bottom) right along the center of the body. I used a monochromatic color scheme for this card - just shades of pink to paint in all of the pieces on the butterfly wings with watercolor pencils. I included a good tip for putting in different intensities of color with watercolor pencils that I share in the video. Watercolor pencils make painting easy (and fun!). Since the thread is suspended right down the center of this design, the butterfly can spin in the open window. So fun! A little breeze or a tap from your finger sends the butterfly into a little twist - and when the card is resting on a shelf it hovers and moves just a little. Rather than a circle, this time I used a large frame die - one of my new favorites! 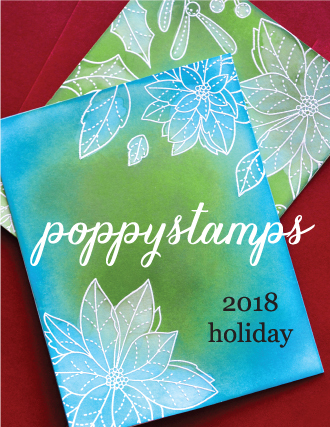 This is the Poppystamps 2002 Double Stitch Scalloped Rectangle Frames die - I cut it out of a medium green cardstock so that it would really stand out against the pink. This particular die made threading easy - the center of the scalloped edge showed me exactly where the center of the card was so it was easy to position the thread at the top and bottom. Once I had the thread in place I just secured it with some double stick tape - and it was ready to go. You can write your message towards the bottom of the card - or if you have beautiful handwriting, then go ahead and write so that it shows up in the opening as a background for the butterfly! I did have an "a-ha" moment after doing the rectangle frame when I remembered the Memory Box 99950 Pinpoint Heart die that I designed for Valentine's and wedding cards this year. Was the opening big enough to accommodate the butterfly? It was! Adding the Memory Box 99926 Sentimental Happy Birthday die kept things simple - I really just wanted the colors on the butterfly to stand out. The butterfly floats in the middle of the opening - just like on the previous card. The wings nearly touch the edges of the heart - but miss them just slightly. There is something about seeing a card like this that makes you want to pick it up and play with it! The little motion that happens when you handle it - you can't help but give the wings a little nudge so that the thread twists ever so slightly. I decided to make the wings on this version a little more colorful - so I used watercolor pencils in aqua, teal, bright green and yellows to create a vibrant look. By the way, I am watercoloring on plain cardstock for these projects - usually you have to be careful about not adding too much water to cardstock or it will curl and buckle. But in this case there isn't any reason to worry - the areas that are painted are really small and the watercolor pencil takes hardly any water for blending. I wanted to share a couple more card ideas with you - since I had my rose dies out and I was on a roll with the pink and green color scheme - I used the 2008 Rose Stem Collage die to create another flat card. But I simply cut it into the paper and then trimmed half of the circle off, which left a little half circle for the rose to rise over. I combined the Memory Box 99763 Perky Thank You die with the CL5210 Thank You Sentiments stamp set to create "Thank You for your kindness". 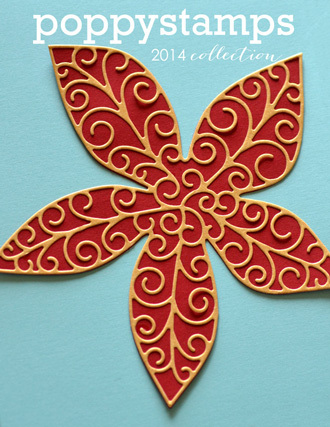 This design is flexible enough for weddings, birthdays, teacher cards or whatever! And here is the the Rose Stem Collage die again, used as I originally intended with a cut out circle and a rose stem in the middle. 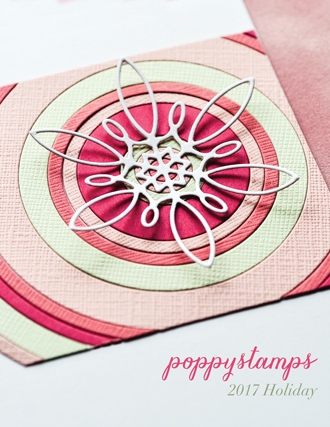 I created the Poppystamps 1983 Finial Circle die to fit exactly around the edge of the circle - so that they could work together! In fact, the Finial Circle will exactly match any 3 inch x 3 inch opening - and the delicate leaves and tendrils create a beautiful frame around the center shape. You can see that the threads here are more than decorative - for this die cut, the rose bloom is supported by a very narrow stem. This wouldn't be an issue if glued flat to a card, but since it is suspended in mid air, the golden threads will support the rose while adding a decorative element at the same time! Here's another shot of the card with a dark background - those metallic threads really shimmer and shine around the flower! You can be creative with the design of the thread - I just added a few lines, but you could really fill in that open area. I have ended up with lots of cards and have worked myself into a little corner on my studio table. The table is full of scraps and dies and notes and embossing powder and thread. I am now dreaming of filling the openings of cards with all sorts of things - tiny words suspended in threads that create poems, surrounded by butterflies. Or tiny fish on silver threads swimming among bubbles and coral. I will have to make these soon. Thank you so much for visiting today - I hope I have inspired you to try a few threaded cards of your own! 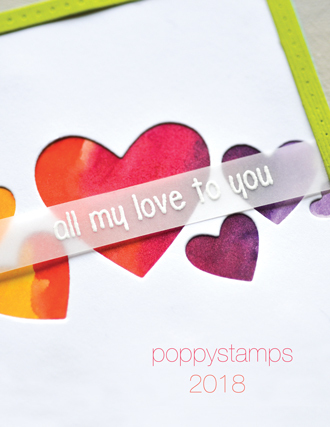 Nearly Spring Greetings, Poppystamp lovers! 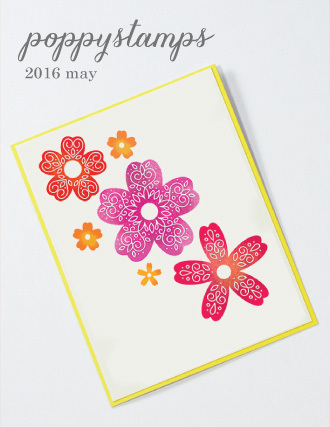 I'm bringing bright hopes for sunshine today, with a happy colorful card! 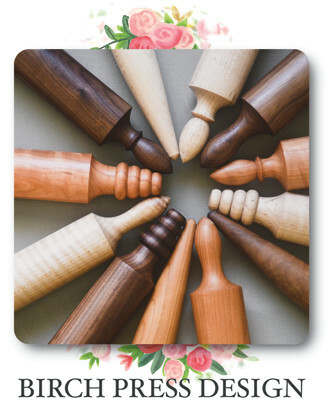 The focal image for my card is a new die called, Garden Bouquet. So sweet and clean, and I kept it that way with just a few bits of color inserted back into the butterflies and flower centers. Double Stitch Scalloped Rectangle Frames provided pretty pink framing for my bouquet and sentiment. I slipped out the small die cuts to color, and added the color with copics. the larger flowers and butterfly bodies were added with Nuvo drops. I just apply the drops to a piece of acetate in the size and color I want. When dry, just lift off and glue onto your card. I love that through the cold grey of winter, the hope of Spring is around the corner! 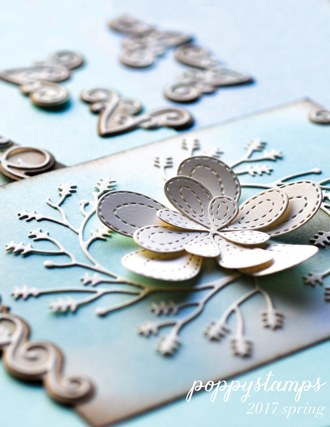 Are you creating Spring cards? 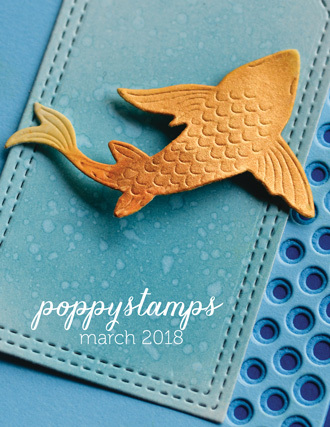 Poppy has some beautiful stamps and dies with Spring themes to choose from! Thanks for the visit, and happy crafting!